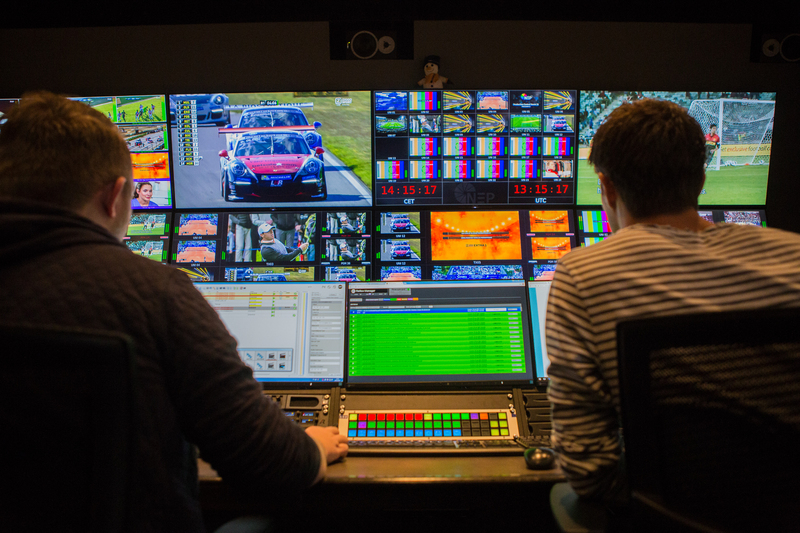 Last May saw Ziggo Sport, part of Liberty Global, appoint NEP The Netherlands to build, operate and maintain the complete playout and technical production for its seven Dutch language sports channels. NEP The Netherlands is part of the NEP Worldwide Network and this contract makes the group Europe’s largest provider of sports playout facilities. Alongside the traditional broadcast outlets, Ziggo also operates five OTT internet channels/streams for broadcasting the Formula 1 Grand Prix. Van der Flier points out that as well as programmes produced from within the Netherlands, NEP provides the facilities for taking in broadcasts from other countries and adding Dutch graphics or voiceovers for the domestic audience. Ziggo Sports is located in NEP Studio 11 in the heart of the Hilversum Media Park. Since May 2016, the area has been completely transformed into one integrated workspace, including production offices, edit suites, galleries and playout facilities. What’s more, NEP’s technology is connected to the augmented heads, allowing the same system to control the AR, the virtual graphics, titles, and the physical display screens in the sets. Consequently, just one operator with one push of a button can control all the layers in the different graphic systems. “That makes this combination of actions unique – and creates a flexible and scalable system,” says de Ridder. In the gallery, NEP The Netherlands has opted for a Snell Advanced Media SAM Kahuna vision mixer. “In the galleries where we enrich the feeds coming in we use a SAM Kula – the smaller brother of the Kahuna. In fact, we have six of them,” says van der Flier. For audio control, Lawo mc² 56 consoles are in use. He says that during 2017 it is anticipated that all of the Ziggo Sports programming will be handled in this way – with just cameras in the location and all production handled from the studio. NEP says that building a system that is based on their proven cloud technology has been key to the successful implementation of this contract. It means that expansion is easily achieved as and when additional resources are required. “We have created a very flexible system that will meet the needs of our clients for the foreseeable future,” says de Ridder. He reports that NEP has experience of this arrangement working well in the Nordics, and that the company plans to expand this concept into other countries in the near future.